The School District of Manatee County dance educators attended a very special inservice on January 6. 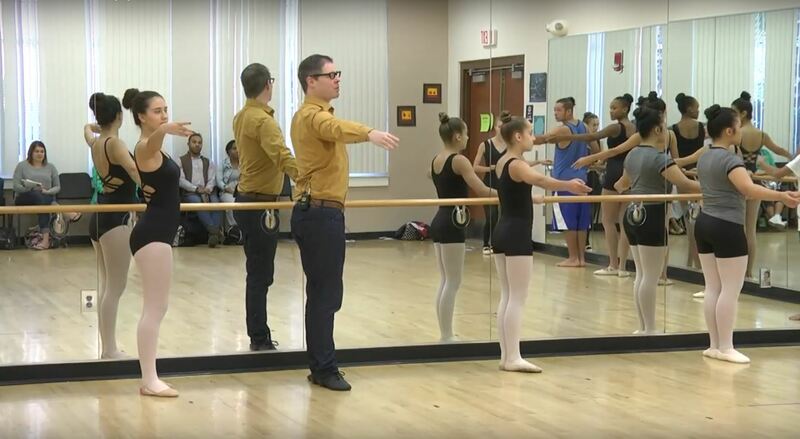 Christopher Hird, the Director of Education for the Sarasota Ballet, conducted a master class with dance students and teachers from Manatee County, as well as students from The Sarasota Ballet Margaret Barbieri Conservatory. Mr. Hird worked with the Conservatory students, ages 13-22, while the Manatee students and teachers observed. Then Mr. Hird worked with the Manatee County middle school and high school dance students and debriefed with the teachers. The students were honored to work with a professional of Mr. Hird’s caliber, and the teachers learned a variety of new strategies to increase their effectiveness and refine their feedback for students. Many teachers believed this was the best dance inservice Manatee County has had. Thank you, Mr. Hird, for sharing your expertise with the Manatee County teachers and students! Mr. Hird lead the Manatee County students in barre work. The Manatee County students and teachers soaked up Mr. Hird’s suggestions. 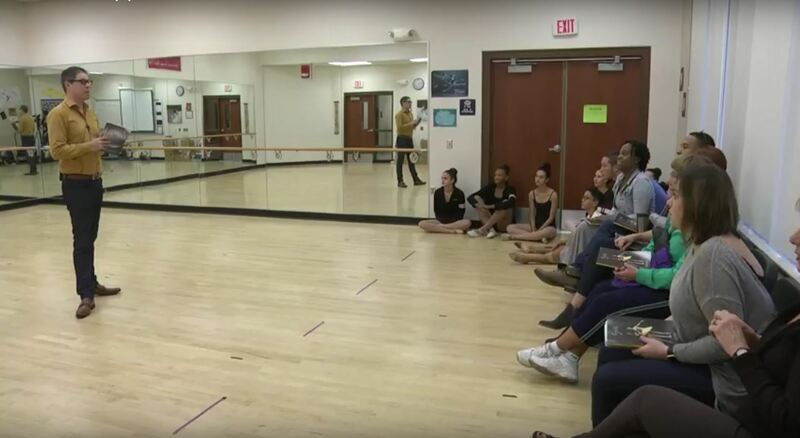 The Sarasota Ballet Margaret Barbieri Conservatory students danced and answered questions.